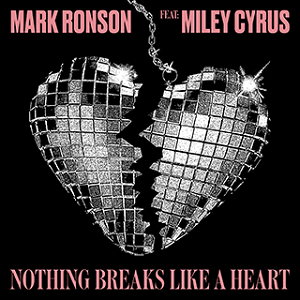 In the year of Disco Country this song from Mark Ronson and Miley Cyrus was a welcome surprise in the lat few months. Part of me thinks that if Nothing Breaks Like A Heart had been released in the summer it would find itself in the top 10 here, but as it stands it’s had a huge impact on me in a short time. Miley has always had a great country voice, but she’s never sounded this good. She’s so dominating and emotive here, the ‘hmmms’ that happen every time she sings the title are genius in their subtlety. Mark Ronson honed his songwriting country sound with Gaga on Joanne but in Miley he’s found a truly terrific performer in that very genre. Calvin Harris is such a tease. He tempts you in with his trademark build ups constantly throughout One Kiss, but never goes off like some of his less successful songs might have done. Deep house has always been his best place to be, Thinking About You, How Deep Is Your Love and Mansion, but One Kiss is his most striking example of this fact yet. Dua Lipa’s performance is great, but somehow ends up sounding like Calvin has sampled and chopped up bits and pieces to make his own creation. Granted, he’s pretty much done that, and it’s not meant as a criticism in the slightest. 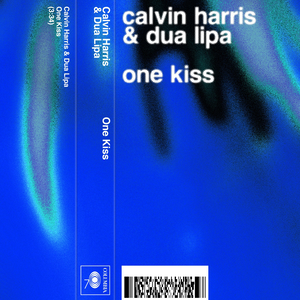 One Kiss is pure Calvin Harris magic and deservedly became on the year’s most memorable hits. Years & Years nailed it in 2018. The pieces fell together so well for them and All For You is by far the best song they released all year. 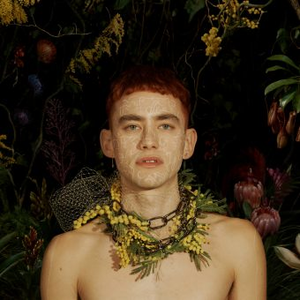 The way that Olly Alexander’s vocals layer in different ways for every section of the song, it ends up sounding like a 5 piece boy-band at times; in the best way possible. It’s such an immediate pop record, one listen of the ‘You look like you’re so damn scared’ line of the chorus enough to lodge it into you head for the next few days, but it’s the bouncing energy that made it one of my favourite songs of the year. 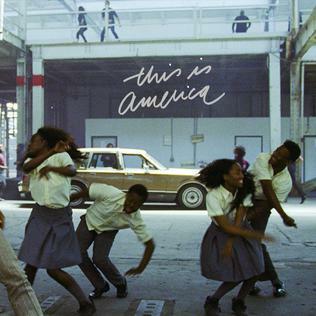 So much has been said of the importance of This Is America that I’ve found not enough people talk about how it performs as a song. People aren’t listening to This Is America out of the context of their Spotify or YouTube playlists, how does it work next to the latest Ariana Grande song, or a Post Malone song? It works amazingly well, which only adds to the possible impact a song like this can have. Of course This Is America is the music video of the year, possibly of the decade, but the way the song transitions between gospel choir of the intro into the deep trap bass of the verses hits hard every single time you hear it. Even the high pitched Theremin sounding outro gives the song this ominous tone. Childish Gambino isn’t here to lecture you about gun violence, this is real life and the production of This Is America is what gives the song a living and breathing atmosphere. I didn’t intentionally put a song from the Black Panther soundtrack next to This Is America, but Pray For Me works incredibly well played next to the previous song. Obviously I am a long time fan of both The Weeknd and Kendrick Lamar and for me both are on electrifying top form here. 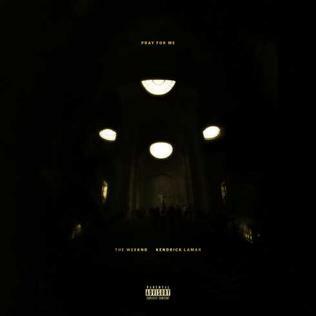 Abel’s voice soars next to the African chants of the hook, while Kendrick’s fiery and intentionally short verse could be from T’Challa’s perspective or Kendrick’s. It’s a thrilling record that works both in the context of Black Panther’s universe and in our own. The high point of one of the most interesting soundtrack albums in recent memory. On his first album George Ezra’s songs were all about that unique voice. His deep vocals allowing for less flashy songs to shine through the most, the easy Budapest the most obvious example. For his second album it’s like he just wanted some catchy tunes to sing, not pretense, no need to be an indie artist after his unexpected mainstream success and certainly no need to hold back on catchy lyrics. 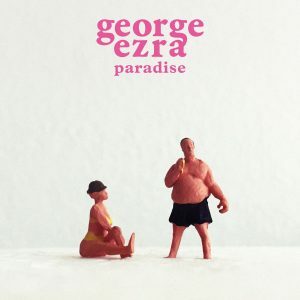 Paradise is surely the highest point of this exploration into earworm hooks. The guitar scratch and ‘aaahhs’ between verses is irritatingly brilliant, while the shouty chorus is so full of energy you think George might collapse once the final chorus ends. It’s such an easy song to love and one that has been lodged firmly near the top of this list since release. 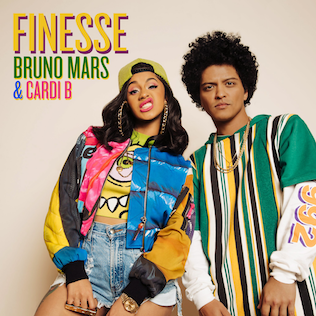 The best album track from the underwhelming 24K Magic becomes the best single from the album thanks to a storming opening verse from Cardi B. It don’t make no sense, but Finesse started 2018 (January 4th to be exact) with a BANG. CHRIS. Has anyone ever introduced a new pop persona in a more iconic way? After an album of intriguing French Electro pop no one could have anticipated a sound as funky as this for her second album, but Girlfriend is pure funk and it’s brilliant. Chris isn’t just a name change, it’s not really a name change in the first place, but more of a new attitude to the stage and to performing. There’s so much bravado on a song about not wanting to commit, but ‘Damn, I’d be your lover’ before realising he’s not even worth that. The fact that the introduction of CHRIS happens again before the song descends into pure funk once more for the remaining minute, echoes of ‘Touche, Touche’ creating one of the best moments of the song, feels like a worthy payoff for a song that’s so brilliantly surprising. Girlfriend is one of the most danceable songs of the year. 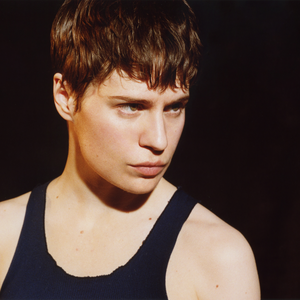 ‘At 17 I started to starve myself, I thought that love was a kind of emptiness’. Bloody hell Florence. There’s a dread you get once an artist who’s so well known for writing all of their songs from a very real place saying that their new album is ‘their most personal yet’, it usually just means it’s their worst. Hunger defies this and while it’s hardly the most revolutionary record on this list, it could probably have appeared on every other Florence and the Machine album, it had such a huge affect on me. 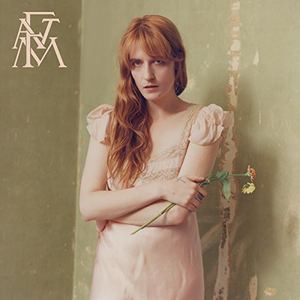 ‘I thought that love was in the drugs, but the more I took the more it took away’ is gut wrenching when performed by someone like Florence, while the way the song builds and builds to the final ‘It’s Friday night and it’s kickin in’ before stopping abruptly gives you the same sense of emptiness the song is trying to express. Hunger is brilliant for all of the reasons that Florence and the Machine songs are, but has a heartbreaking edge to it that’s impossible to deny. TOOTIMETOOTIMETOOTIME is a terrible name for a song as good as this. It’s an improbable success too, Matt Healy singing on a vocoder should be terrible; The 1975 releasing a song you could salsa to should be terrible; a chorus that counts up to 4 like a kids song shouldn’t work; but it does. 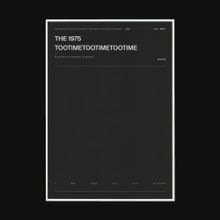 It’s such a joyous song about a couple who both think the other is cheating on them, summing up the constant oxymoron that The 1975 are. The moment before the first verse where the beat drops out before bursting in like something on a Rihanna album is pure pop genius and proves yet again that The 1975 are some of the best pop writers in the UK right now.